Sol. (a) The given points are plotted on a graph as shown below: From the graph, it can be seen that the points lie on the same line. 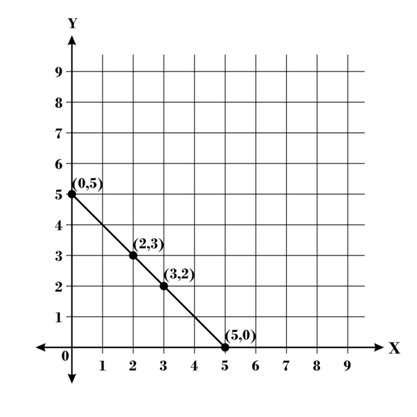 (b) The given points are plotted on a graph as shown below: From the graph, it can be seen that the points lie on the same line. (c) The given points are plotted on a graph as shown below: From the graph, it can be seen that the points do not lie on the same line. Q.2 Draw the line passing through (2, 3) and (3, 2). 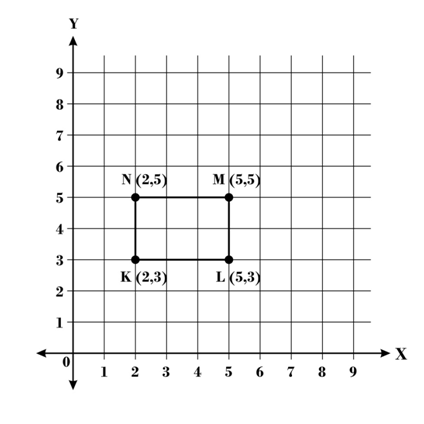 Find the coordinates of the points at which this line meets the x-axis and y-axis. Sol. 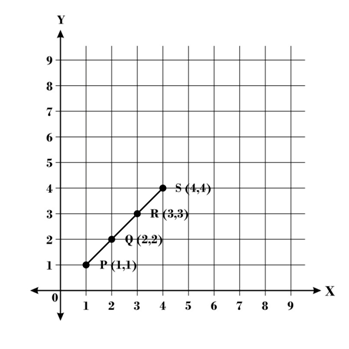 The given points are plotted on a graph as shown below: From the graph, it can be seen that the line passing through (2, 3) and (3, 2) meets the x-axis at the point (5, 0) and the y-axis at the point (0, 5). Q.4 State whether True or False. Correct that are false. 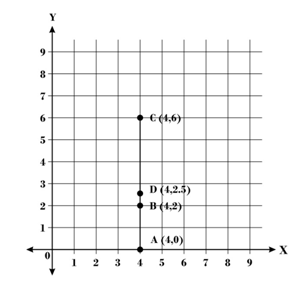 (i) A point whose x coordinate is zero and y-coordinate is non-zero will lie on the y-axis. 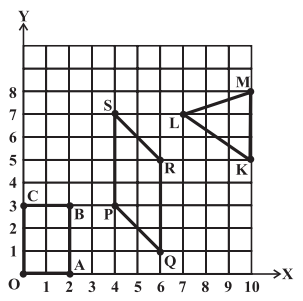 (ii) A point whose y coordinate is zero and x-coordinate is 5 will lie on y-axis. (iii) The coordinates of the origin are (0, 0). Correct statement: A point whose y coordinate is zero and x-coordinate is 5 will lie on x-axis.